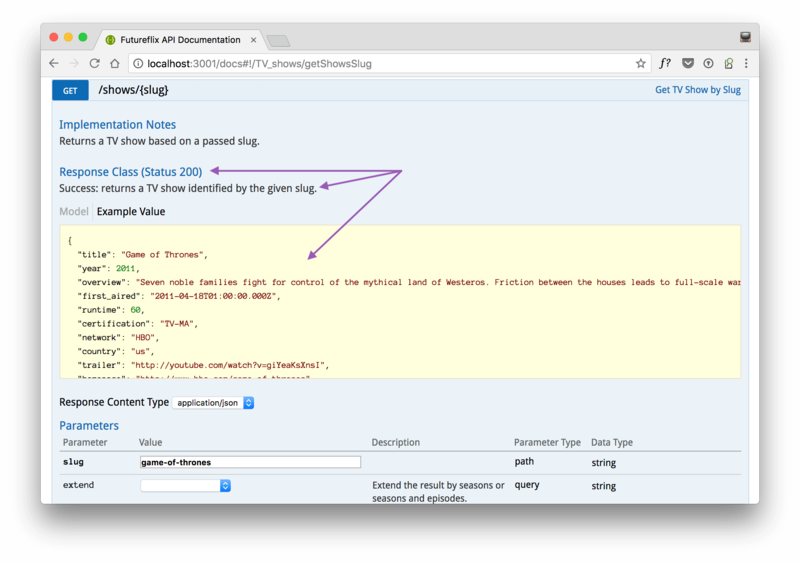 Your Swagger API documentation becomes a beneficial place for developers. The integrated Swagger UI allows anyone to send sample requests against your endpoints. It’s a good way to see the actual response format and data of endpoints. Swagger allows you to add detailed documentation for responses. Define the format and a sample response with actual data. This brings your API docs to the next level and helps every developer right from the get-go!